Applications with a photo uploaded are invited online only from qualified candidates belonging to reservation group of under mentioned community only in Kerala State for appointment in the under mentioned post in Kerala Government Service. (This is the Fifth NCA notification for the post due to the non-availability of qualified candidates belonging to SC community notified in the Gazette date 30.04.07, 13.05.09, 16.04.10 and 16.05.2011 as per category Nos 170/07, 166/09 , 95/10 and 114/2011 respectively). published as per this notification will be in existence until candidate belonging to SC community is advised and appointed. 5. Method of appointment: Direct Recruitment (from Candidates belonging to reservation groups mentioned in this notification. But application of Scheduled Tribe candidates will also be considered in the absence of SC candidates). Note:- Application of candidates belonging to other than the community mentioned in this notification will be summarily rejected. Individual rejection memo will not be sent to them. dates included) are eligible to apply for this post. in the respective subject by any University in Kerala. thereto by any University in Kerala. statutes of any of the Universities in Kerala. course of study from any of the Universities in Kerala or a qualification recognized as equivalent thereto by any of the Universities in Kerala. 3. Must have passed the State Eligibility Test for the post of Higher Secondary School Teacher conducted by Government of Kerala or by the Agency authorized by the State Government. Note: (1) In the absence of B.Ed Degree holders, candidates having Masters Degree with not less than 50% marks and who have passed State Eligibility Test will be considered. appointed under this provision will have to acquire B.Ed degree at their own expense within 5 years from the date of entry in service. (2) Those who have passed Language Teachers training Course are exempted from acquiring B.Ed qualification. (3) Persons who have acquired M.Ed in the subject concerned recognised by any University in Kerala are exempted from B.Ed qualification. the State Eligibility Test for Higher Secondary School Teachers. 2. Those persons who have passed the National Eligibility Test/Junior Research Fellowship shall be exempted from passing the State Eligibility Test. exempted from passing the State Eligibility Test. 8. Mode of submitting applications. The applications with latest photo uploaded shall be submitted on-line only. The photo uploaded should be that taken within Six months and with name of candidate and date of photo printed on it. 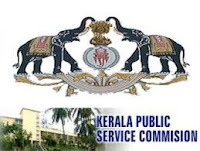 Detailed instructions regarding the submission of application are available on the website of the Kerala Public Service Commission viz.. www.keralapsc.org. No application fee is required. The barcode number in the application form shall be quoted in all further enquiries/ correspondence. Documents to prove qualification, age and community have to be produced as and when called for. Applications which are submitted not in accordance with the instructions given in the website will be summarily rejected. 9. 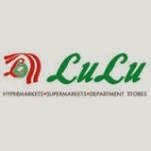 Last date of receipt of applications: 08/02/2012 Wednesday up to 12:00 Midnight. 11. If a written Test/OMR test is conducted as part of the selection, hall ticket of eligible candidates will be made available on the website of the Kerala public Service Commission. Candidates are instructed to download their hall ticket as per the instructions on the website.